It would be the first time since the foreign armies joined the war in 2015 on behalf of Yemen's exiled government that they have attempted to capture such a well-defended major city. 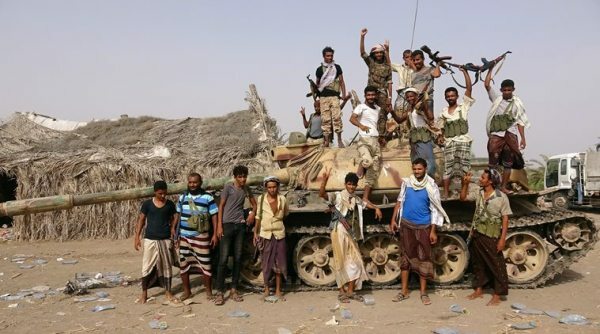 Tribal fighters loyal to the Yemeni government stand by a tank in al-Faza area near Hodeida, Yemen June 1, 2018. Aden: A Saudi-led coalition geared up on Tuesday for a military assault on Yemen’s main port, preparing to launch by far the biggest battle of a three-year war between an alliance of Arab states and the Houthi movement that controls Yemen’s capital. The United Arab Emirates, a member of the Western-backed alliance, set a Tuesday deadline for the Iran-aligned Houthis to withdraw from the port of Hodeidah under UN-led talks. The United Nations said it was engaged in “intense” shuttle diplomacy between the Houthis, Saudi Arabia and the UAE to avert the attack, which it fears could exacerbate the world’s most urgent humanitarian crisis. It estimates that 600,000 people live in the area, and in a worst-case scenario a battle could cost up to 250,000 lives, as well as cutting off millions of people facing starvation and disease from aid and supplies. A group of US senators urged Secretary of State Mike Pompeo and Secretary of Defense Jim Mattis, in a letter on Tuesday, to strongly support efforts to negotiate a resolution to the conflict and encourage all sides to avoid steps that would further impede Yemenis’ access to food, fuel and medicine.